Albi’s Mappa Mundi is one of the two oldest known representations of the world as it was perceived in the eighth century (the other one is owned by the Vatican). This unique medieval map is registered in the UNESCO Memory of the World Programme. Albi, the episcopal city, is doubly recognised and classified by UNESCO. The Mappa Mundi is one of the 77 sheets of manuscript which belong to the Albi cathedral Chapter. This map, drawn in the middle of the 8th century, was used as an educational document in the Bishops’ library and as a model for the Albi scriptorium. It represents the world in the form of a horseshoe. Based on the representation of space in the Antiquity and updated with Christian elements, it presents a world centred around the Mediterranean Sea, orientated to the East and featuring around fifty names of cities, regions, rivers, seas and winds. Albi is the only French city, apart from Paris, which is listed on two different UNESCO lists (World Heritage site for the Episcopal City and Memory of the World for the Mappa Mundi. This medieval map of international interest has an exceptional universal value. In October 2015, it was added to UNESCO’s Memory of the World register, becoming the 12th element of documentary heritage proposed by France. 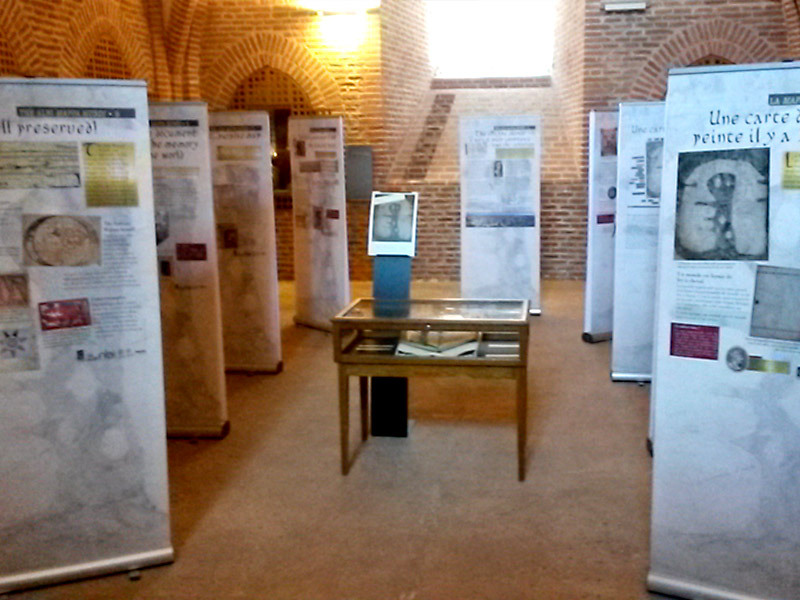 From June to September, the Treasury rooms of Saint Cecilia’s Cathedral display 9 information panels which explain how it was produced, the content and the history of Albi’s Mappa Mundi, from the 8th century to modern times, as well as the facsimile of the map on display. The original Mappa mundi of Albi is conserved, like the other medieval manuscripts from Albi’s cathedral, in the Pierre-Amalric multimedia library in the Cordeliers district. As it is extremely fragile, for conservation reasons, it cannot ever be exposed to light.